Adorable! Stripe aqua bodice enhanced with a sequin heart. 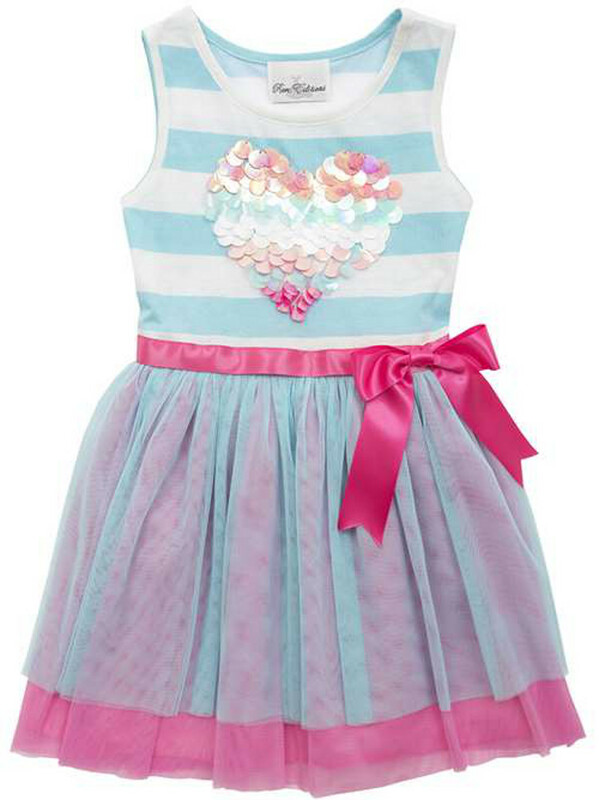 Your little girl will adore this Valentine's Day Dress!